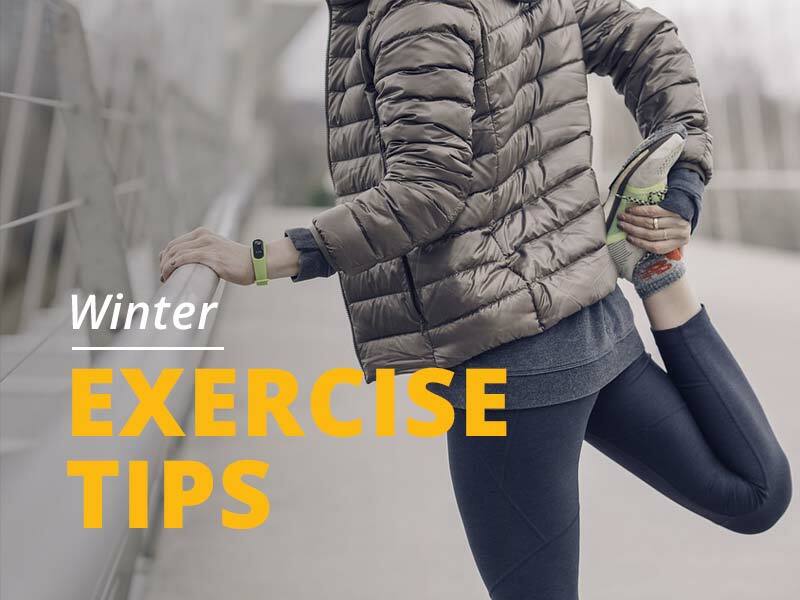 Exercising in the Winter Months: Our Recommendation? Do It! Okay, I get it; it’s tough to find the motivation to exercise outside on these short, cold days. During the work week, often both of our daily commutes are in total and complete darkness (I know mine are!). And while weekend sunshine is appreciated, it doesn’t do much to warm up our wintry and wet surroundings, creating safety concerns, and let’s face it… it’s just flat out cold! All of these things make it difficult to lace up your shoes and go outside, but there are quite a few reasons to pull yourself out of your cozy bed or off your couch. 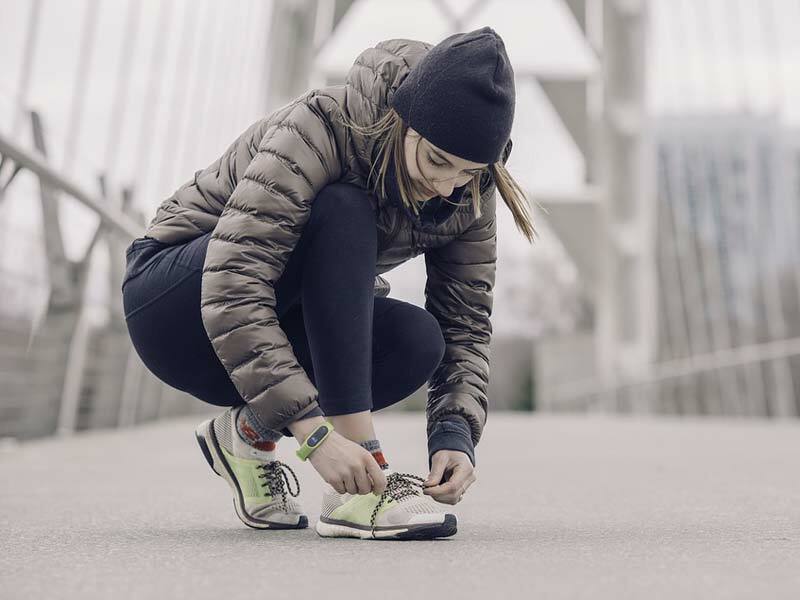 Here are some reasons to get outside and get your workout on, and some tips to make sure you stay safe while you’re at it. As the body works harder to stay warm in a cold environment, there is an increase in the amount of endorphins released in your body, which gives you a stronger sense of happiness and well-being. So, if you are feeling down or stressed, the best thing you can do for yourself is get moving and start sweating. Because the temperature is low outside, your body works harder to maintain your core temperature… thus, burning more calories; yippee! Your body has to work harder in the cold to distribute circulation to your arms and legs, improving the strength and efficiency of your heart. When the sun is out, whether it is warm or cold, you can still absorb some good ol’ Vitamin D! P.S. Don’t forget your sunscreen if you are going to be out in the sun for awhile. Drinking water is just as important during cold weather as it is in the heat. Drinking water before, during, and after your workout (even if you’re not feeling thirsty) is key. Invest in a good, durable water bottle that you can take with you while exercising. You want to be able to remove them as soon as you start to sweat and then put back on as needed. First, put on a thin layer of synthetic material which draws sweat away from your body (avoid cotton, which stays wet next to your skin). Next, add a layer of fleece or wool for insulation and heat. Then, add an outer shell that is waterproof (rain is no excuse, this is Oregon!) and breathable. Don’t forget to do a proper dynamic warm up to get really warm and avoid injury. You can also incorporate other stretches throughout your workout. Watch our video below of Diane showing some stretches mid-hike. Keep to well-lit areas and wear bright and reflective clothing. Ideally, exercise with a friend, but always tell someone where you’re going. Don’t let winter weather stop you from being active. It is so important to stay consistent with your exercise program for your health and well-being throughout the entire year.